Amani Al-Khatahtbeh and the entire MuslimGirl team has had Equality for HER's back since day one. By lifting up our programming, elevating our fledgling platform, or amplifying our narratives, MuslimGirl has been steadfast in its support of Equality for HER. This dynamic army of women who support women was the first group of people to reach out to me when I was arrested in Baton Rouge, LA. MuslimGirl offered a place for me to express the struggles I was feeling after experiencing such an intense trauma. It is without reservation that I say: MuslimGirl supports all women and Muslim women in particular, no matter what. The inspiration for MuslimGirl emerged out of Amani Al-Khatahtbeh's need for a place to be heard. Today, she continues to use her privilege to give other Muslim women these opportunities as well. Just last night, Amani and I appeared on MSNBC to discuss #45's last 6 months in office. I was wearing #HalalPaint's shade of pink polish called "The Perfect Amani-cure." I have seen first hand just how dedicated Amani is to bringing people with her on her path of success. In 2017 alone, MuslimGirl has delved into a myriad of notable enterprises as the election of #45 made Amani's platform more crucial than ever before. 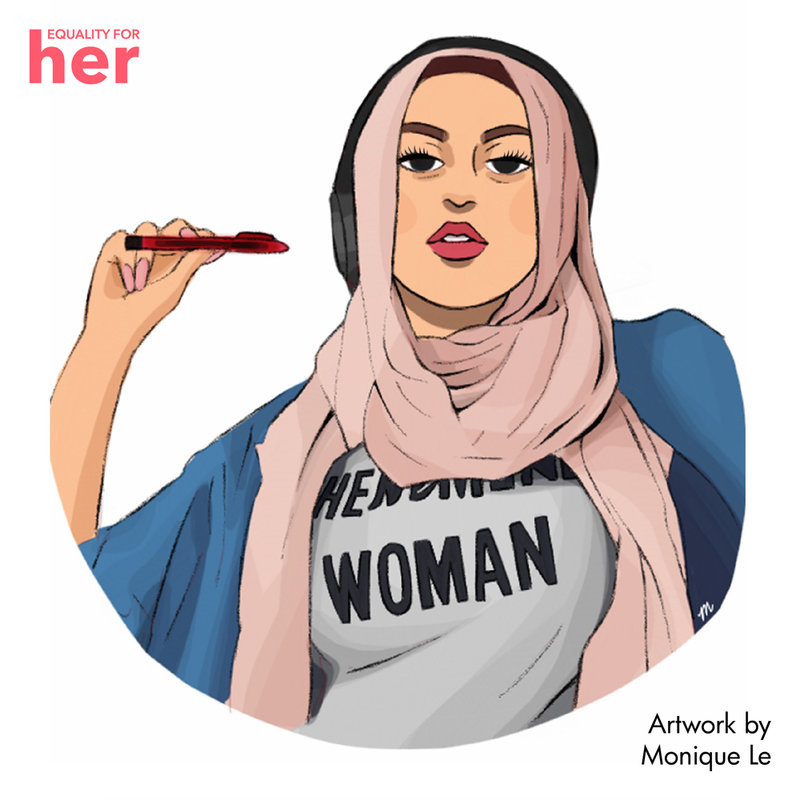 Responding to the increased violences committed against Muslim women, MuslimGirl launched a care package subscription so Muslim girls around the world could do self care. In March 8, 2017, Getty Images, a world leader in visual communications, and MuslimGirl, partnered to create diverse, vibrant and accurate portrayals of Muslim women for their stock photo gallery. On March 27, 2017, MuslimGirl launched a new day of celebration during women's history month: Muslim Women's Day. In the midst of Ramadan, MuslimGirl announced a trailblazing partnered with Orly to create #HalalPaint. #HalalPaint is a breathable, halal certified nail polish formula that would enabled Muslims to make requisite ablutions for prayer while also having vibrant nails in cleverly named shades. When I first heard about #HalalPaint I had to restrain myself from maxing out my credit card to buy as many sets as I could. I thought to myself, finally, I can paint my nails as often as I did before I converted to Islam! Not only would #HalalPaint be a fabulous Eid present, it would allow me to indulge in one of my favorite forms of self expression; anytime and all the time. In Islam, we make wudu or cleansing ablutions prior to making salat prayer. It is believed that if water and soap cannot touch one's nail beds the wudu is incomplete and the prayer must be redone. For this reason, many Muslim women forgo nail painting until they are menstruating. This small inconvenience is a small price to pray in exchange for one's faith, but #HalalPaint challenged this notion by allowing Muslims to paint their nails whenever and whenever we saw fit. Not only is nail painting with halal nail polish a form of self care but it is a form of creative expression allowing us to make adorn ourselves without compromising our religious beliefs. #HalalPaint is more than just nail polish. #HalalPaint for me is an avenue for self love, creative expression and more. However, all of the positives that #HalalPaint provided were suddenly complicated by Orly leadership making anti-Muslim, anti-Black, and anti-Palestinian statements. I have been admiring the work of Amani Al-Khatahtbeh and her team at MuslimGirl for a while now and I am always struck by their continued investment in authentic and intentional movement work. This commitment was demonstrated today when MuslimGIrl announced the end of its partnership with Orly. Divesting from corporations whose leadership directly contrasts with one's mission is a necessary step to take if we are to truly be committed to liberation. Because #HalalPaint was more than just nail polish it is perhaps even more necessary to hold Orly accountable for its indiscretions. When met with this controversy, Amani Al-Khatatbeh and the entire MuslimGirl team chose the path of integrity and righteousness. As MuslimGirl and Amani, its founder, continue to break new ground with the platform we can be assured that they will not exchange their mission nor their integrity along the way. So while MuslimGirl closes the book on #HalalPaint, I am confident we can expect nothing but greatness in the platform's future, inshaAllah.